The Professional Association of Diving Instructors (PADI) is the world's largest diving organization for the training of recreational and professional scuba divers. PADI scuba diving courses consist of diving theory coursework followed by hands-on skills training. Successful completion of course requirements results in certification in that course content. The PADI system has both a recreational training track and a professional diving training track. PADI Scuba Diver is the entry-level certification. It is awarded after successful completion of the first three of the five courses required for Open Water Diver Certification. This limited training certifies you to dive under the supervision of a PADI dive master, assistant instructor or instructor to a maximum depth of 40 feet. PADI Scuba Diver certification allows you to rent equipment, obtain air refills and proceed to the next training level, Open Water Diver. The PADI Scuba Diver certification makes you eligible to take two specialty courses: Equipment Specialist and Project AWARE Specialist. The Open Water Diver certification can be achieved after taking all five courses required for the entry-level certification. The Open Water Diver Course consists of diving theory and hands-on experience and testing under pool conditions followed by open water dives. During this training, you will learn how to safely use all of the standard scuba equipment, dive computer and accessories as well as basic emergency techniques. This certification level permits you to dive independently. The prerequisite for Adventure Diver Courses are Open Water Diver Certification. Completion of three Adventure Dives of your choice from 16 Adventure Dives qualifies you as an Adventure Diver. A wide variety of course options exist. Some courses teach you how to identify and photograph the natural beauty underwater or how to navigate different underwater situations like diving in swift currents (drift diving) or in water at high altitude (think mountain lakes) or in the pitch black of night diving. Some courses help master specific skills like learning perfect buoyancy control, diving from boats safely, advanced navigation techniques or using underwater propulsion vehicles. The Advanced Open Water Course builds upon the skills in the Open Water course and can be taken right after the Open Water Course. You take an underwater navigation course and a deeper water (60-100 feet) diving course. 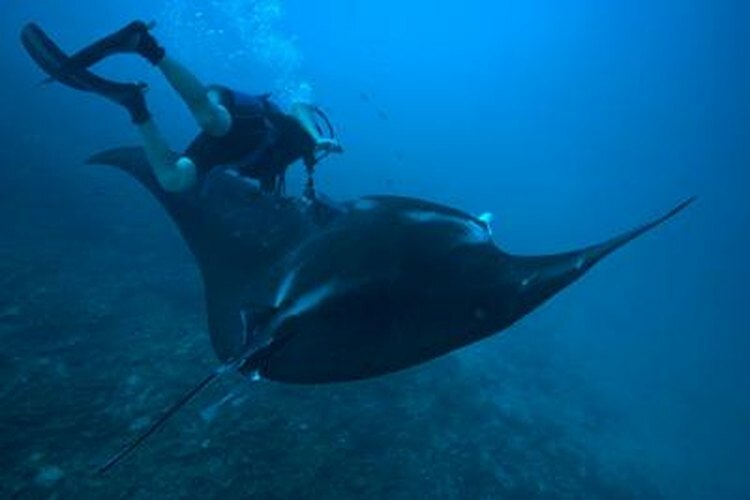 These courses cover the special physiological demands of deeper diving as well as use of advanced navigation techniques such as using an underwater compass, visual landmarks, kick cycles and time for navigation. You will be given more advanced training in the use of the dive computer and electronic recreational dive planner. In addition to the two required courses, Deep Diver and Wreck Diver, you will be asked to take three more adventure dives to complete your Advanced Open Water Diver Certification. The prerequisite to take the Rescue Diver Course is Advanced Open Water Diver Certification, First Aid training and current CPR certification. The Rescue Diver Course teaches divers how to perform self-rescue, recognize and manage stress in other divers, rescue panicked or unresponsive divers, manage emergency situations and use emergency equipment. Master Scuba Diver is the highest non-professional diving certification. To obtain this certification, you must already have achieved Rescue Diver Certification and have completed at least five specialty diver courses and have logged at least 50 dives. PADI offers a series of professional diver certifications including Divemaster, Open Water Scuba Instructor/Assistant Instructor, Specialty Instructor, Master Scuba Diver Trainer, IDC Staff Instructor, Master Instructor and Course Director.